Values are at the heart of a nonprofit and its operations. Our question to readers: what are your fundraising values? We truly understand the importance of securing money and resources. At the same time we caution against a “money first” approach to fundraising. We believe that fundraising should be grounded in a nonprofit’s values. We offer six fundraising values for your consideration. The goals and visions of a nonprofit should first meet the needs of the community served. We all have individual dreams and a vision for a better tomorrow. When crafting or reviewing the vision and goals for your nonprofit make sure they meet community needs and are more than a vehicle for your personal aspirations. Make clear how your nonprofit will benefit your community, and keep community benefit as a priority at all times. Leadership should fully understand and support the nonprofit’s vision and goals. There should be no question about the organization’s or institution’s vision for the future, and how it will progress towards that vision. The executive staff and board should use the nonprofit’s vision and goals as a compass to guide their individual and collective work. A successful nonprofit should be volunteer led. While the nonprofit sector is increasingly professionalized with staff hired to support the implementation of a nonprofit’s vision and goals, each nonprofit should have strong volunteer leadership. Professional staff help ensure a full-time focus on the nonprofit’s work by individuals who believe in the vision and have the professional qualifications to deliver the services promised in the mission and goals. Volunteer leaders help keep the organization grounded in its vision and focused on its goals. When volunteers take the lead in raising funds, the impact can be far greater than a fundraising initiative that is staff driven. Fundraising should start with the strengths and resources that are currently available. Start where you are and take advantage of the opportunities available to your nonprofit and then extend your reach. Many nonprofits have relationships with individuals who want to provide resources, make introductions, or host home/office events. Start there. Make your case. A fundraising initiative should be guided by a plan that is derived from the organization’s strategic or business plan, and influenced by market research (feasibility study). Don’t jump into fundraising with a “we need money” approach. Craft your strategic business plan, learn how others respond to your plan, and then begin fundraising in a consistent, systematic way. The operations of a nonprofit should be open and transparent. We can’t say it enough. Be open, accountable, and keep your operations and financials transparent. There should be no secrets. Answer questions honestly; proactively provide information regarding finances, operations, impact and outcomes. Your fundraising values can guide your decisions for short-term and long-term success. This week we heard two expressions we are compelled to share with you, our readers. They are “The Fooling Yourself Theory” and “Don’t mistake my kindness for weakness.” Both can be applied to fundraising throughout the year, and especially in the last quarter. They were shared by women from different parts of the country both of whom are very experienced with fundraising, board service, and nonprofit management. One is a nonprofit executive, the other heads a private business. Here are the details. The Fooling Yourself Theory. When we heard this phrase we had to stop and write it down right away. Here’s what it means. You are an executive (or board member) and you observe that certain structures, systems or people do not support the organization and its goals. You make the observation and then you ignore your observation. Or you hope you’re wrong. Or you hope it will resolve itself on its own. We have seen this in play so many times. People in leadership know what is wrong, see it clear as day, and yet take no action. Don’t mistake my kindness for weakness. This error can be made by young and old alike. The young may confuse kindness with weakness because they don’t have a history of working within healthy organizations. They may assume that creating a climate of trust and letting people be responsible for outcomes is a sign of weakness. That the executive or board chair won’t notice if work isn’t produced. Older people may have been trained to respond to constant follow up, criticism and externally imposed deadlines. They may mistake a leader’s delegation of responsibility and respect for others’ expertise and autonomy as weakness. The fourth quarter is a time many nonprofits focus on revenue, and The Fooling Yourself Theory can get in the way of successful fundraising. If last year’s fundraising strategy did not yield the required results, thinking it will work this year may be an example of the “theory” in action. If board members did not solicit those they agreed to solicit last year, you may want a different strategy – or different volunteers – this year. Employees and board members who show up in body but not in mind and spirit, and those who quietly or boldly don’t fulfill their responsibilities may be surprised when they are asked to resign. It shouldn’t be a surprise: kindness is not weakness. Kind leaders work with their employees and board members and understand the ups and downs of life and the many commitments we all must fulfill. But leaders – mean and kind – know that responsibilities need to be fulfilled. Those who don’t practice the “theory” take action: they are not weak, they are kind and decisive. Contemplate these expressions and let them inform your leadership and your ability to follow. “…the true leader can be recognized because somehow or other his people consistently turn in superior performances…. A leader is great, not because of his or her power, but because of his or her ability to empower others. 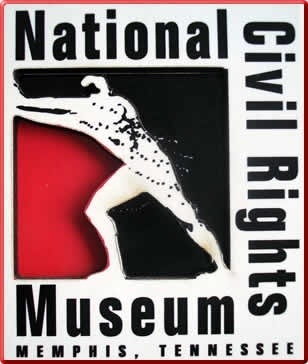 Success without a successor is failure.” This quote from Robert Townsend was used by Jeanette OBryant, Development Coordinator at the National Civil Rights Museum as she introduced her boss, outgoing museum president Beverly Robertson. These words capture the essence of Robertson. She has a strong respect for her staff and has provided them with opportunities to grow and assume leadership. And, she is leaving the museum in a strong position for her successor to build from. The event we were attending was an intimate breakfast at the newly renovated museum that brought together former board members, volunteers, donors, supporters, staff and community members to hear Robertson’s reflections and tour the museum with her. She began by lifting up current and former staff, board members and volunteers – calling them by name and thanking them for their involvement. She made it clear that her tenure was rooted not the in the status that accompanies her position, but rather in her commitment to the museum and the legacy of Dr. Martin Luther King, Jr. Here are qualities we observe in Robertson that contribute to her success as a fundraising leader. She makes everyone she comes in contact with feel good about their interactions with her and their support of the museum. She invites everyone to the table, while keeping her eye on the prize: raising money. She lifts up her staff, encourages them to move beyond what they perceive as their limitations, and provides opportunities for professional growth. She is a “we” not “me” person. Never once have we heard “I raised the money.” She is clear that fundraising is front and center for a nonprofit’s success. She summed it up with “No money, no mission” followed by a warm laugh that embraced the audience. In our words: you can have great ideas, but without money it is very difficult to bring them to life. Robertson has served as president for 17 years, ending her tenure with the opening of the renovated museum and the beginnings of an endowment. She will be succeeded by Terri Lee Freeman, president of the Community Foundation for the National Capital Region, a public foundation serving the District of Columbia, suburban Maryland and northern Virginia. We salute Beverly Robertson and we welcome Terri Lee Freeman. 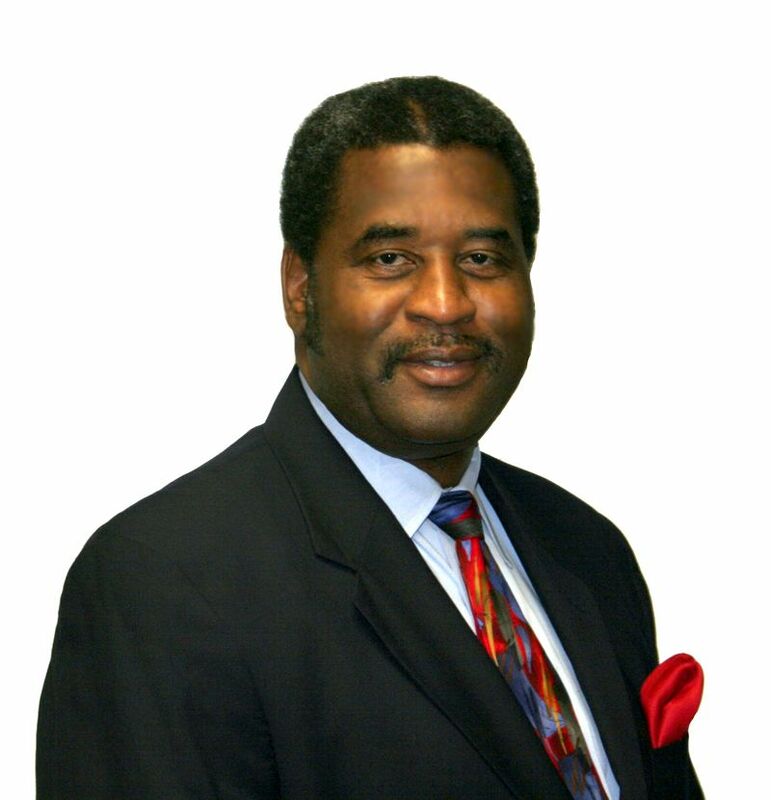 Have you heard about Raymond Burse, the newly appointed interim-president of Kentucky State University who voluntarily reduced his salary by 25% in order to ensure that all university employees would make a minimum hourly wage of $10.25? That’s right, this HBCU president gave up a total of $90,125 so that 24 employees– some of whom were making $7.25 an hour – could receive a wage increase. On top of this he has pledged to give up additional salary to ensure no future employees make less than $10.25. He initiated the proposal to the university’s board of trustees and they made the changes to his compensation package. “Who is this man?”, you may ask. 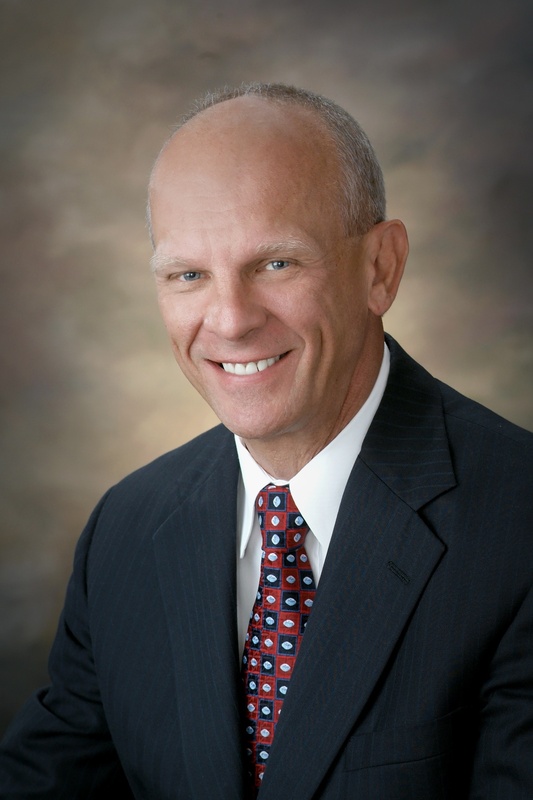 He is a past-president of KSU (1982 – 1989), an attorney, and former vice president and general counsel at GE. In our minds he is also a master at generating good will and national media attention. His decision will directly improve the lives of impacted employees. It also shows that he has “skin in the game.” He is willing to personally sacrifice in order to advance the institution and its standing in the community. His action can help break down the walls that too often divide administration from faculty, staff and students, and the university from local residents. His decision reallocates existing resources and demonstrates commitment to the institution. Our minds were racing when we heard the news. Too often we hear statements from nonprofit leaders that include “what can I do?” or “we don’t have any resources” or “no one knows about our organization.” Burse’s actions caused people all over the country to take notice. 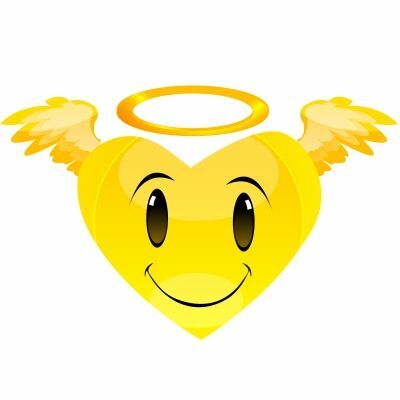 When we heard him interviewed on television he mentioned a result of his decision: people are making inquiries about enrolling and giving. These are two priorities that confront almost every institution of higher education. While his decision was a personal one based on what he believed was right, it has had national impact. He defined his agenda and presented it to the board of trustees. When we look at Burse’s decision through the lens of fundraising we ask nonprofit leaders – including university presidents – to take time to contemplate and articulate your vision and to then do what you can do to bring that vision into life. Burse is an African American leader who took initiative. What actions can you initiate? Burse reallocated resources. What resources can you reallocate? Burse’s decision attracted positive attention and will certainly help to reposition KSU. What actions can you take that will reposition your nonprofit? We believe Burse’s decision was an ethical one with many positive implications. What resources and relationships are available to your nonprofit that have not yet been fully utilized? Are there opportunities you are not yet taking advantage of? Take time to reflect and when appropriate, take ethical action. 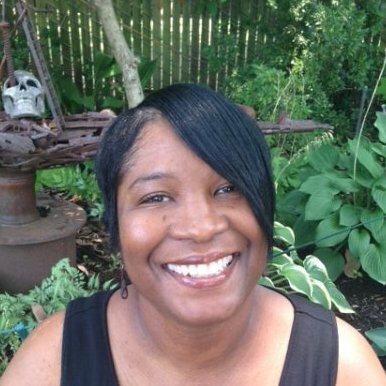 “I did not recruit leadership, instead I embraced leadership.” This is what we learned from Judy Davis membership outreach manager at the Metal Museum in Memphis. We were talking with Davis to learn how this column FUNdraising Good Times influenced her work in raising $45,000 for The 10th Anniversary Gates Campaign. This was a campaign to restore the beloved metal gates at the museum and the 331 rosettes that adorn them. She developed two questions to drive her fundraising. These were: “How do the Metal Museum gates impact the community?” and “What is your story as it relates to the gate?” These were derived from her desire for museum members and visitors to feel they had a personal connection with the gates. Davis is ready for her next project: making the museum’s collection more accessible to the public. Stay tuned: she is a woman you are sure to hear more from. We eat, drink and sleep fundraising. It’s what we love. We truly enjoy and embrace the people and organizations we work with. We get excited when clients take the tools we develop for them and put them to work. We cherish their successes and most importantly we celebrate their work. At the end of the day fundraising is all about attracting resources for nonprofit organizations and institutions that make a difference in people’s lives. While not every organization is in a position to hire fundraising counsel, there are so many people doing wonderful things who need just a few suggestions, or some new information so they can do a better job and raise more money. These are the people we write FUNdraising Good Times for. This column is our way of giving back and sharing information about fundraising, fund development and the important roles of nonprofit board members, staff and volunteers. It was almost nine years ago that FUNdraising Good Times debuted in The Globe Newspaper in Oakland, CA. There are now 30 papers and two magazines from around the country that publish this column. This commitment on the part of publishers and editors demonstrates their commitment to growing the nonprofit sector and supporting the people who give their time and energy to serving others. We cherish our readers, though most are unknown to us. As writers you don’t always “meet” your audience. But, we did recently met a reader who embraced us sharing “I read your column all the time.” We were conducting a workshop for the ArtsMemphis community engagement fellows when Judy Davis came up to us and shared that she raised $45,000 using suggestions from our column. That caught our attention and we had to learn more! We learned that Davis, the membership outreach manager at the Metal Museum in Memphis, played an important role in The 10th Anniversary Gates Campaign. The museum was celebrating the 25th anniversary of the most beloved part of their permanent collection – the 10th Anniversary Gates. 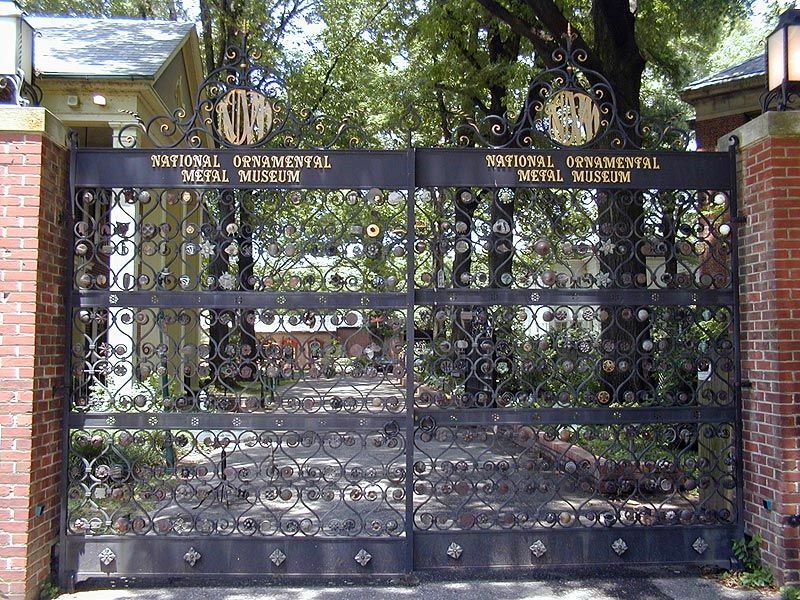 These are metal gates adorned with 331 unique rosettes that were contributed by over 200 metalsmiths from around the world. After 25 years of exposure to the elements the gates and rosettes desperately needed restoration. This required removing, repairing and cleaning each rosette, and then sandblasting and repainting the gates. The campaign raised $45,000 by inviting museum members and visitors to “sponsor a rosette” with individual donations ranging from $100 – $500. Each rosette sponsor received a credit line in a catalog published to commemorate the rededication of the newly restored gates on Mother’s Day, 2014. This was Davis’ first professional fundraising project and she was armed with inspiration and information from our columns. 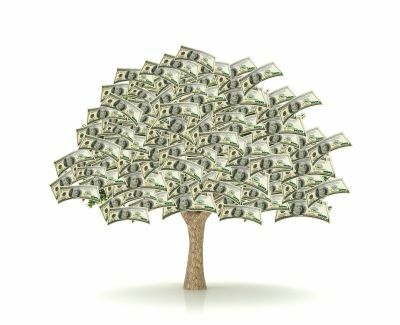 How do you become a successful nonprofit fundraiser? What is the secret to success? An engaging personality, relationships, tenacity, creativity, sales ability and consistent follow through are some of the attributes of success fundraisers. Here’s another: teamwork! Successful fundraisers don’t go it alone: they always have a partner. It is flattering and humbling to be asked to play a role in raising funds for an organization you believe in. You can increase your chances of success by picking the right partner to work with. When you have a fundraising partner you have someone to bounce ideas off of, to make plans with, and to inspire you if you feel discouraged. If you know there are times when you will be you of town or otherwise committed, your partner can fill in for you and keep the process moving. When you have an effective and supportive partner fundraising can transform from an obligation into a fun challenge. You set a financial goal and work together to figure out how to reach it. Here are a few things to consider as you contemplate who could be your ideal fundraising partner. Reflect on who you know personally, professionally, through worship, family connections, and/or community life. It would be ideal to partner with an individual who has a track record of successful fundraising. But that alone is not enough! Think about who also shares an interest in the work of your nonprofit and its values, and who has demonstrated commitment and follow through in other areas of their lives. Think about who you have helped in the past, and who might “owe you one.” Look for a person who gets things done, doesn’t accept failure, and always has a “plan b” and a “plan c” in their back pocket. Another ideal characteristics: people who have the power, influence and wealth to easily engage others in meeting your fundraising goal. Finally, the most important characteristic is that of accessibility. You want a partner you can reach by phone, text or email and who is not too busy to give his or her full attention to your joint project. They make your fundraising project their project. If this sounds simplistic, that’s because it is. Find a partner, put your heads together, and have some fun raising money. Calling all nonprofit board members: Do you sometimes wonder what value you bring to the nonprofits you serve? Do you wish you were more engaged, or that “they” took more advantage of the talents you bring to the board? 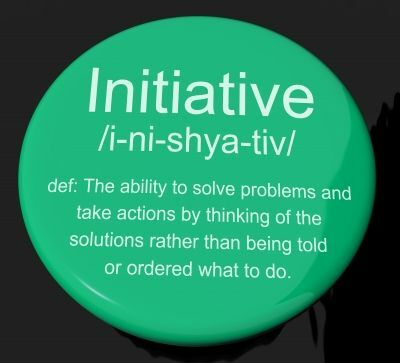 We have the solution for you: take initiative! Don’t wait for someone to ask you to get involved. Here are six things you can do between now and the next board meeting to energize yourself and your fellow board members. Choose one or more that sounds like fun to you. Each can help engage new supporters, increase awareness and raise money. These tips work if you are involved with university, a grassroots organization, or any size nonprofit in-between. First, write a thank you note or personally call a donor to thank them for their gift. Allocate five minutes for the conversation. Ask what encouraged them to give and what attracts them to your organization. Listen. Respond to any questions they may have. Thank them again. Second, invite a potential supporter to visit the organization’s facilities and observe its programs. Agree on a date and time to meet at the nonprofit and tour together. Request that a staff member join you – one who can share information and answer questions. Third, visit staff members to get to know them and ask “what can I do to help?” Follow through on what you learn. Fourth, have lunch with a fellow board member to discuss how the two of you can work together to increase awareness or raise funds. Hatch a plan that can be implemented without staff involvement. Follow through on your ideas. Fifth, make arrangements to speak before a local organization to share information about your nonprofit. It could be your church, the rotary, or your book club. Keep your comments brief and engaging. Sixth, host a small fundraising event. Invite a few close friends and associates to your home or office for coffee or an evening glass of wine. Spend five minutes sharing information about the nonprofit you serve and ask each guest to make a gift equal to or greater than your gift. Before implementing these suggestions, take a moment to identify the three things you want to communicate about why you give your time and talent to serve on the board. Share these in conversation or through your presentation. Let people know you are accessible if they have questions in the future, or if they want to get involved. Share your contact information. Bring a simple brochure to share. Anyone of these activities will extend the reach of your nonprofit. They will energize you. You will have something new to report at the next board meeting. Don’t wait for someone to “assign” you to a task. Jump in! Mike Bruns possesses the characteristics of an ideal board member: deeply engaged with the organizations he supports, generous as a donor, and he treats his nonprofit involvement with the same seriousness he applies to business ventures. He has a great sense of humor, a kind heart and a warm smile. He’s also the founder of Comtrak Logistics, a national transportation and logistics company headquartered in Memphis, and chairman emeritus of Youth Villages, a national nonprofit. We recently talked with Bruns to learn the secrets to his success as a nonprofit volunteer leader. “Trusting relationships and reflection/rejuvenation are required for building strong networks and collaborations.” That’s the word from Patricia Brandes, executive director of the Barr Foundation. She didn’t say more funding, more collaboration, lower expenses or greater impact. She focuses on the three R’s – relationships, reflection and rejuvenation. While many funders invest in “doing” the Barr Foundation invests in “being.” It offers local nonprofit leaders the opportunity to answer the above questions through a fellows program Brandes launched in 2005. The Barr Fellowship is a leadership network designed to celebrate, connect, and empower diverse leaders across Boston. The fellows program provides three-month paid sabbaticals for Boston nonprofit leaders. Each “fellow” can experience the 3 R’s: no work for three months. No calling in, no emails…. The one requirement: participate in two week-long group learning journeys to locations such as South Africa and Zimbabwe, Brazil, and Haiti. Back at the nonprofit, board members and employees have to operate without their known leader. This provides new opportunities for interim leaders and the Barr Foundation helps out here too, providing these leaders with peer support and facilitated learning environments. The foundation has found that employees and board members step up in unexpected ways while their leader is on sabbatical. This fellows program is an example of what Brandes calls “creative disruption.” A sabbatical is highly prized – but awfully disruptive! No more business as usual for the nonprofit, and even more importantly, for the leader. When on sabbatical leaders confront “being” as their primary experience. This often leads to personal discovery and recommitment to what brought them to work in the nonprofit sector in the first place. The group learning journeys take this change process to another level, bringing leaders together across differences and boundaries. As they share time unstructured time together fellows have the opportunity to “be” together and in that process build trust. These trusting relationships later inform new and deeper levels of partnership and collaboration. Over time the deep value of this fellowship expresses itself. Boston now has a rich network of diverse leaders who have sustained relationships over the years, built social capital, and remained in the nonprofit sector. The foundation found that five years after their sabbatical, 75% of fellow were still at their organizations, 92% were still active in the civic sector in Boston, and 92% were still active in the civic sector nationally. The results are radically different from the turnover and burnout experienced within many nonprofits. Investment anyone?